We got a new car this weekend, well it’s new to us anyway. I bet you’ll never guess what make it is. Yes, it’s a Volkswagen. I owned a 1972 VW Beetle once that I had to stick my arm through the hole where the radio should have been to operate the windshield wipers by moving the metal arm that connected the two wipers together back and forth. This car is much newer than my other VW with many more bells and whistles. The car I’ve been driving for over two years now has not had A/C, so I’m looking forward to driving in a cool car again. I once had a 1969 VW Beetle, so your words here about the old one you had really bring back memories. 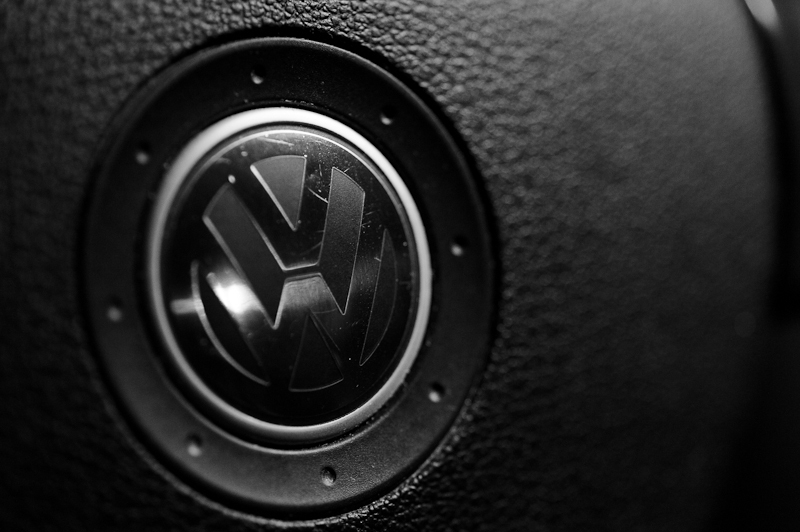 I like this macro shot of the VW emblem.